Friday night! Also known as the best point of the week. I was back at classes today, feeling very weak and my throat is still burning but at least it’s now the weekend and I’ve got no plans so I am now writing from my bed where I am watching funny videos of Craig Ferguson , Sean Lock and Alan Davies and crying of laughter. 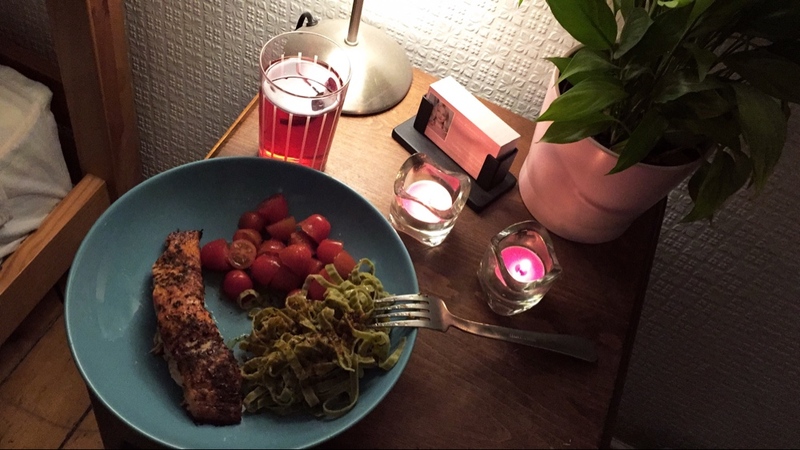 I’m quite tired so might fall asleep soonish but had such a nice dinner, consisting of salmon, edamame bean pasta and baby pearl tomatoes with olive oil. It. Was. Amazing. Nough said. 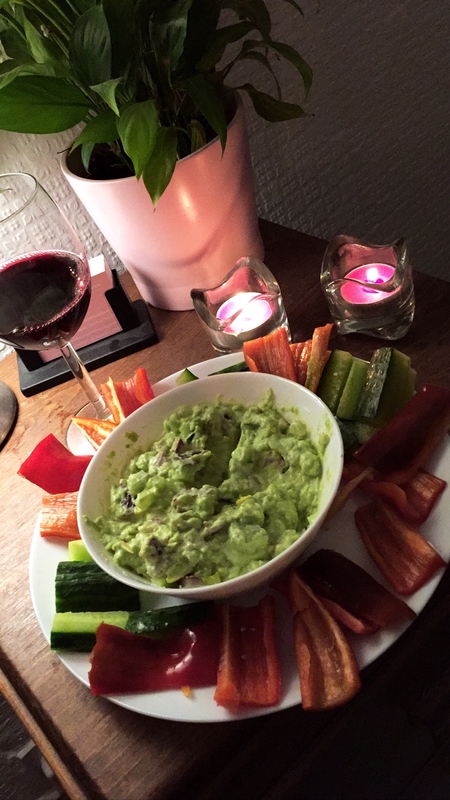 Since it’s Friday I treated myself to some guacamole and pointy red pepper and cucumber sticks (and wine... of course - do you not know me?). I could eat my guacamole with a spoon straight out of the bowl. It’s one of my favourite things ever. Not even exaggerating.